Head of Agro-Economy Desk, FEMI IBIROGBA, reviews the past agricultural policies, actions and inaction, while aggregating the forecasts in the sector for 2019. In 2018, agricultural productivity and production were hampered by many factors, and from the available records, food production was far from sufficient, especially in rice production. Nigeria produces a little above 5 million metric tonnes, while the annual demand is over 7million, according to Africa Rice Centre, though the Federal Government claims the contrary. Militating factors include poor investments in the sector. The Maputo and Malabo declarations by the heads of states in Africa, which stipulate at least 10 per cent of the budgets should be dedicated to food production, have never seen the light of the day as far as the Federal Government, which should lead by a good model, is concerned. And the states too, with the exception of Kebbi, have also failed in the minimum allocations to the sector. Of all the state governments, only Kebbi State was able to dedicate 10 per cent of its yearly budget to the sector, though proper utilisation is probable. Another major threat to food production in 2018 was the widespread floods that ravaged fish, rice and grains farms. This devastation was aggravated by the poor attitude of farmers to agricultural insurance, which would have restored the investments of most farmers. Smuggling of farm products, especially rice and poultry products, through land borders, made the prices of locally grown products uncompetitive and contributed significantly to unsustainable chicken production at home. Though the government claims Nigeria is 90 per cent rice sufficient, the influx of smuggled bags of rice was recorded in 2018. Other factors were frequent clashes between cattle herders and farmers, which claimed hundreds of lives and displaced farming households and communities, especially in Benue, Taraba, Zamfara and Nasarawa states. Mechanisation of agricultural cultivation, especially in the southern part of the country, was low, for the land clearing was a barrier to farmers, according to outgoing Oyo State chairman of the All Farmers Association of Nigeria (AFAN), Mr Olumide Ayinla. Fertiliser production, was, however, enhanced with increased local blending, which in turn helped to reduce input cost and importation. Most of the dams and irrigation facilities in the south were dysfunctional and, therefore, could not contribute to dry season farming. 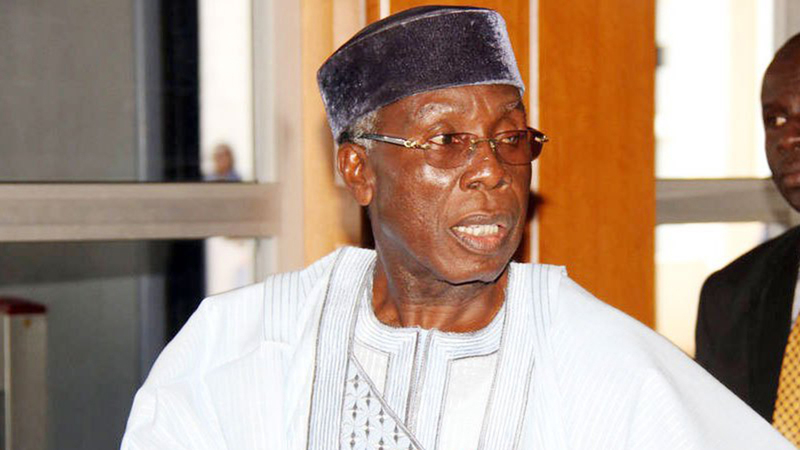 The Minister of Agriculture and Rural Development, Chief Audu Ogbeh, had exclusively revealed to The Guardian on December 31, 2018 that the government was ready to commence the development of cattle ranches out of over 4 million hectares of land used for old grazing reserves. “What we must do now is reviving the remnant of the grazing reserves, and governors of about 11 states are willing and ready. We have tried to raise money for the project. We have secured a World Bank approval to get to work, and the Federal Government is putting together about N12 billion to start the work,” the minister had said. 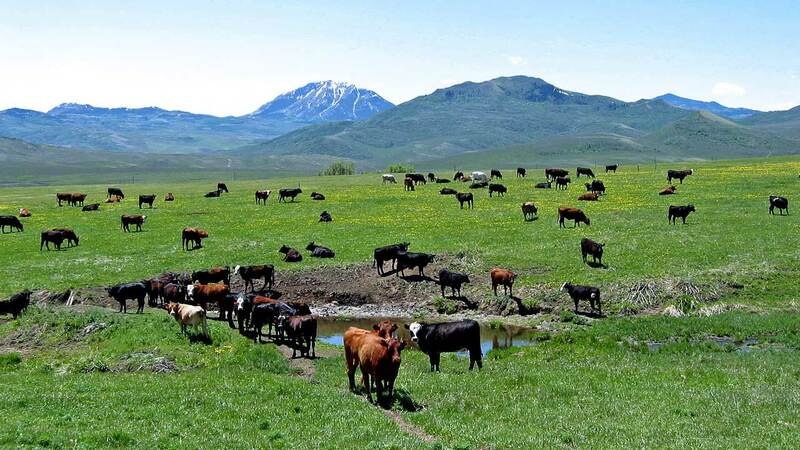 Ogheh believes that the crises between herders and farmers will be minimal or eradicated if herders have means of feeding their cattle this year. “First of all, we will provide water through deep well rigs and dams to store water. A cow needs about 50 litres of water per day. Then we will plant the grass. They are ready. They also asked to be protected against rustlers,” said Ogbeh. However, there are mixed expectations, with some stakeholders expressing optimisms that the project, if implemented honestly and timely, would impact positively on food production in 2019, while some expressed reservations about meaningful impacts this year. One of those who expressed the optimism concerning a positive outlook in the agricultural sector in 2019, especially in rice production, is Dr Francis Nwilene, the Regional Coordinator, Africa Rice Centre, which is a member of the Consortium of International Agricultural Research Centers (CGIAR), based in Ibadan, Oyo State. The rice breeder said if the funds were provided, and the herders said they were going to drop their guns, farm destruction and clashes would stop, and farming activities would eventually increase. “The minister stated that they are even willing to pay tax if the government can provide those things for them. So, if the World Bank is intervening by providing funds to do that, then to me, that is a welcome development, otherwise you will end up seeing them going to burn farms like the one they just did in Benue State,” he said. He expressed the hope that production of rice would match demand this year if farms and farming activities are not disrupted through clashes. “We are likely to close the gap between production and consumption to eliminate importation this year. You saw the flood that occurred in 2018, and so this dry season production is going to cushion the loss we experienced,” he added. Small-scale farmers and households producing rice could have their farm operations and means of livelihood restored if cattle herders stopped moving about and clashes averted, he said. Professor Samuel Olakojo, a grain breeder at the Institute of Agricultural Research and Training (IAR&T), Ibadan, contrary to the expectations adduced by Nwilene, expressed some reservations on the optimism that grain production, such as maize, beans and sorghum would increase. Olakojo’s arguments are that construction of the ranches would take some months, if not years, and probably would not be ready for use until the end of 2019. And, other insurgencies, especially in the north-east geopolitical zone, could still prevent communities and households from production of arable crops in 2019 even if the ranches are ready. If ranches are constructed this year, Olakojo explained, the expected impact on food production would likely become visible by 2020. Prof. Olakojo, however, admitted that there would be likely restoration of farming activities in Benue and Nasarawa states, as well as other affected areas if movements of herdsmen are restricted. About 30 per cent of arable crop production that has been lost might be restored to the food basket of the country, he said. This, he also believed, would restore food production, farming households and communities back to the food basket of the country, and households’ livelihoods would be revived if the processes are not truncated and sabotaged by those allegedly benefiting from the herder-farmer crises. Olakojo suggested that maize, which is part of the grass family, could also be planted and cut as fodders for cattle either after harvesting them when green (which would serve the dual purposes of providing fresh corns for humans and feeds for cattle) or before fruiting. Maize fodder, he explained, has the nutritional requirements for cattle feeding, accounting for maize farm invasion and destruction by cattle herders. The outlook for cassava is ever bright in Nigeria, for the country has maintained the lead in the production of the root crop for over a decade, on account of favourable land and good planting materials developed by scientists over the years. What looks bleak, however, are deepening the value chain development through industrialisation and accessibility of processors and farmers to one another. Most cassava processing facilities, either for staple food or industrial production, are located either in the urban or semi-urban areas, poles apart from cassava producing neighbourhoods. The distance is often made worse by deplorable states of the rural roads, making it practically impossible for farmers to move products to the urban market places and processing factories. This is compounded by perishable nature of the crop, for cassava roots depreciate significantly in quantity and quality after 72 hours of harvest. Regional Coordinator of the Cassava: Adding Value for Africa (C:AVA), Professor Kolawole Adebayo, however, forecasts an increase in production in 2019 based on the encouraging price of cassava roots per hectare last year. He said new farmers and corporate bodies went into cassava cultivation in the last quarter of 2018, implying a larger harvest this year, all things being equal. Therefore, Adebayo concluded, farmers might have to contend with a lower price of cassava roots in 2019 if the forces of demand and supply are left to determine the price. This scenario, he added, means that processors may enjoy cheaper supplies of the product, urging them not to capitalise on the situation to exploit farmers, for this may discourage most new entrants and bring a cycle of underproduction by 2020/2021 if not managed well. Adebayo also hinted that the inability of the National Assembly to conclude on the Cassava Flour Inclusion Bill would retard deepening of cassava industrialisation, but ingenuity of individual entrepreneurs and processors could still help boost the utilisation of the crop in flour blending. 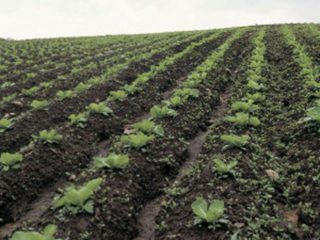 The Deputy Vice Chancellor of the Federal University of Agriculture, Abeokuta (FUNAAB), Prof. Lateef Sanni also expressed the hope that there would be a marginal increase in production and value addition. The reason, he pointed out, is that there are new investments in cassava processing plants, and by the end of 2019, some of these factories would have commenced operations. Therefore, there would be opportunities for farmers to sell their cassava roots to the processors, hence they would make more money and would likely expand their cassava production operations. Some of the factories, Sanni said, are in Kog and Nasarawa states, among which is a newly installed starch factory, Crest Agro. Cocoa, cashew and palm products are likely to marginally increase as a result of some efforts on new plantations and revival of the old ones in the last five years. 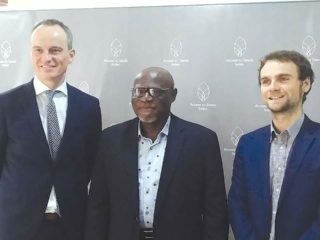 A few moves about the Agricultural Transformation Agenda (ATA), especially on the improved varieties of high-yielding and early-maturing cocoa seeds and seedlings, and increasing awareness about cashew production, leading to establishment of new farms, would increase the outputs marginally in 2018, some scientists have said. The President of the Cocoa Association of Nigeria (CAN), Mr Sayina Riman, said, “As important as cocoa is to the economy, we believe that we are supposed to meet with the president soon on the 10-year cocoa action plan. The action plan includes institutionalisation of cocoa economy finance products and services; maintaining formidable farmer associations; mushrooming of cocoa entrepreneurs; promotion of strong domestic consumption and enhancing the clearing house mechanism alongside the tenets of the global cocoa agenda. Also, part of the plan is to create a minimum of 550,000 additional jobs across the value chains between 2018 and 2028. And the total output of cocoa over the 10-year period is estimated at 5,391,875 metric tonnes, valued at N4.108 trillion at a price of N720,000 per tonne. Through this intervention, which expands the product mix from just beans export alone, the aggregate revenue over the 10-year period is projected at N8.458 trillion. “Secondly, we believe that we will have a marginal increase in production because of the efforts in the past to establish new farms and rejuvenate the old ones. We believe that we should also put more efforts at introducing foliar fertiliser in our cocoa farms for increase in production. By doing this, we believe we would move away from our 350kg production per hectare to 370kg this year if we implement some of our action plans in the 10-year cocoa action agenda. “We have some blends of foliar fertiliser that have given Cote d’Ivoire the quantity they produce today. We believe we can borrow a leave in foliar fertiliser application, because the farms here are old and the soil lacks some of the nutrients they used to have,” the CAN president said. On cashew nut production, Mr Akin Olonihuwa, a former provost of the Kabba College of Agriculture, production would experience an increase this year. He said the Federal Government trained and empowered some 400 cashew farmers in Kabba, Kogi State, in 2014, apart from several other trainees in other states, who started cultivation of cashew. Their products would add to a marginal increase in out this year, he insisted. In 2014, Olonihuwa said 3,000kgs of cashew seeds were given to farmers. By now, he said, those seeds should be fruiting. The weather, he added, is favourable to cashew because most cashew trees are flowering better than last year. More cashew nuts would hence be produced per unit area. He concluded that outlook for 2019 is very bright. 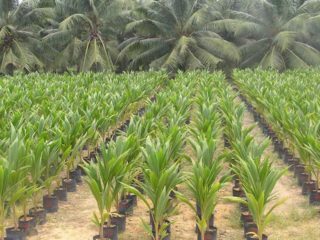 The President of the Palm Producers Association, Mr Henry Olatujoye, said production of palm products would increase this year, for over 35,000 hectares of new palm trees would start fruiting, and hence, contribute to a marginal rise in production. He, too, like Professor Adebayo on cassava root price, said farmers might have to contend with low price, for the price of palm oil in the international market is about $500 per tonne as a result of poor global demand. The poultry industry outlook in 2019 looks cloudy, as put by the President of the Poultry Association of Nigeria (PAN), Mr Ibrahim Ezekiel Mam, on accounts of poor power supply to the poultry hatchery; insecurity in the North-east and the North-central geopolitical zones leading to scarcity of maize and soy beans which are essential feeds ingredients, and poor financial support to the sector, as well as general harsh economic environment. PAN said a good number of poultry hatcheries have suspended operations despite the fact that more people, especially retirees and graduates, are becoming increasingly interested in poultry farming. Shutting down of hatcheries, Mam said, has far-reaching effects on the industry. One, the price of day-old chicks either for laying or broilers birds are perpetually high, making local production of chicken uncompetitive. Two, PAN says a few available hatcheries are becoming near monopolies in the face of ever-surging demand over the supply. 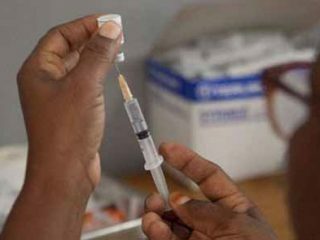 High cost of feeds, veterinary drugs and vaccines are all complicating the poultry farmers’ challenges, making it difficult to produce poultry products profitably and sustainably. Therefore, Mam said, over 5 million poultry farmers in Nigeria, who are contributing over 30 per cent of the agricultural GDP, are overwhelmed and needs the support of the government at all levels. Over 20 million Nigerians, PAN added, are directly and indirectly connected to the poultry industry, and putting such a sector in danger with the odds confronting it is economically suicidal for the country. The association calls on the federal and state governments to make special financial interventions available to the private sector-led poultry industry to reverse the growing levels of poverty and unemployment. In a nutshell, the association calls on the government to tackle insecurity across the country, as this affects production of grains, other crops essential for poultry nutrition/feeds and operation of poultry farms, especially in the North-east and the North-central zones. Poor power supply, too, has contributed to the cost of day-old chick production, with the poultry farmers bearing the brunt with low return on capital-intensive investments. Expressing optimism, Mr Ayoola Fatona, Head, Agric & Micro Insurance/National Coordinator, Leadway Assurance Company Limited, said as the Federal Government continues its efforts to diversify the economy through the formulation and implementation of policies aimed at growing the agricultural sector, the outlook in the agricultural sector looks rather promising in 2019. He said: “It is expected that in 2019, the sector will witness exponential growth as more investments from the private sector will be made into the sector across the entire agricultural value chain. Moreover, contrary to popular belief, the return on investment in agriculture is high, provided the risks inherent in the business are properly managed. He added, however, that as investments in the sector grow, so do the risks. The likely increased investments in the agricultural sector would open gateways of business opportunities for the insurance industry, as agricultural investors across the entire value chain would need insurance as a veritable tool to manage the associated risks in the sector. Agricultural insurance ensures the stability of farmers’ incomes, assists in increasing agricultural production, protects their investments against yield losses arising from the negative impact of climate change and vagaries of weather, and it ensures that agricultural investors incur minimal debts, maintain peace of mind, protection against financial losses, as well reduces the economic wastes arising from production losses across the value chain. Fatona believes more underwriters will apply for product approval in 2019 from the regulatory body, the National Insurance Commission (NAICOM) in order to take advantage of the business opportunities in the sector by underwriting the risks. It is therefore expected that there will be product innovation and climate smart insurance solutions from the insurance sector to manage these risks in order to meet the risk management expectations of the agricultural investors. He advised that the underwriters should honor their claims obligation promptly to insured agricultural investors to further deepen insurance penetration and help them keep faith in insurance contracts as a tool for managing agricultural risks.